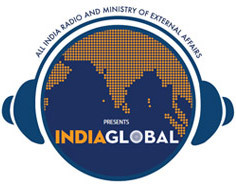 India Global, a joint initiative of Ministry of External Affairs and All India Radio (AIR), is unique programme that aims to highlight India’s bilateral relations and bring radio listeners closer to the world of international affairs. In this country specific programme, each week our ambassadors would speak about important aspects of our relations with a specific country presenting interesting facts and anecdotes on bilateral trade ties, people-to-people contacts, and the Indian diaspora connections. Each episode will be of 8-10 minutes duration and would be broadcast in English every Friday at 4:30 PM on AIR FM Gold Channel (106.4). So stayed tuned and explore the world of India Global! India File is an innovative programme initiated by the External Publicity & Public Diplomacy Division of Ministry of External Affairs. It allows TV channels anywhere in the world to download, edit and use the video related to some of the topmost news stories from India. The service is provided free of charge.